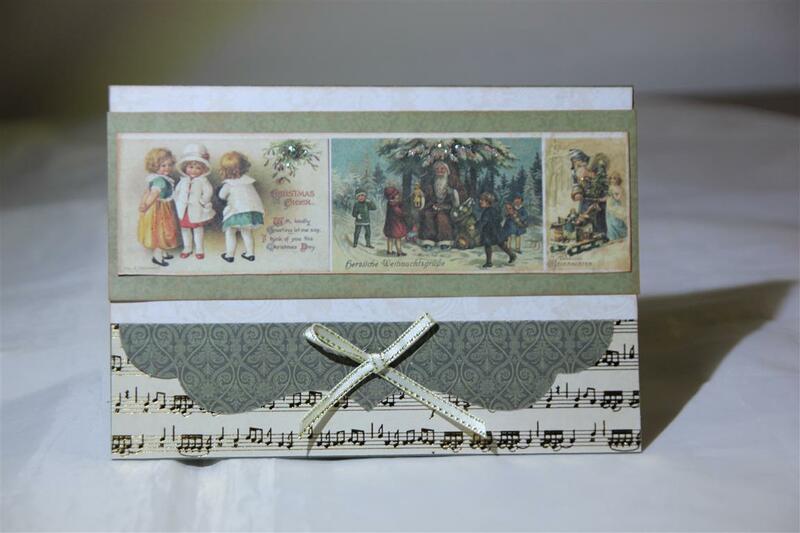 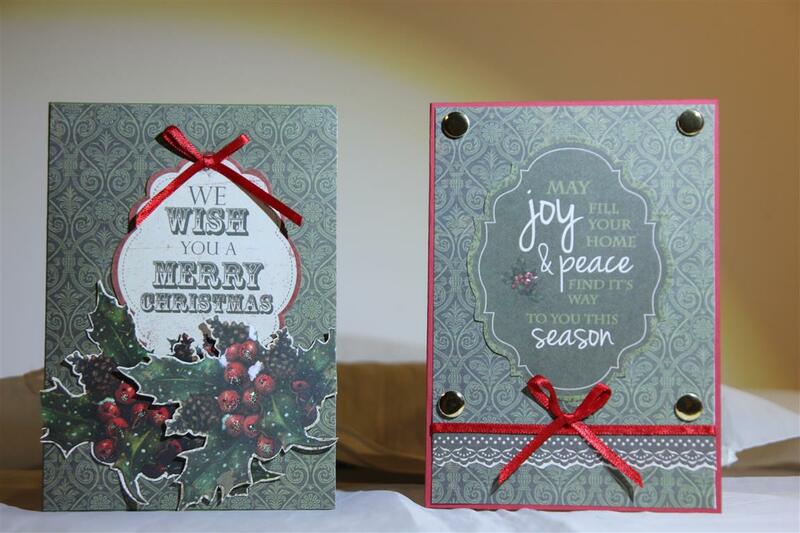 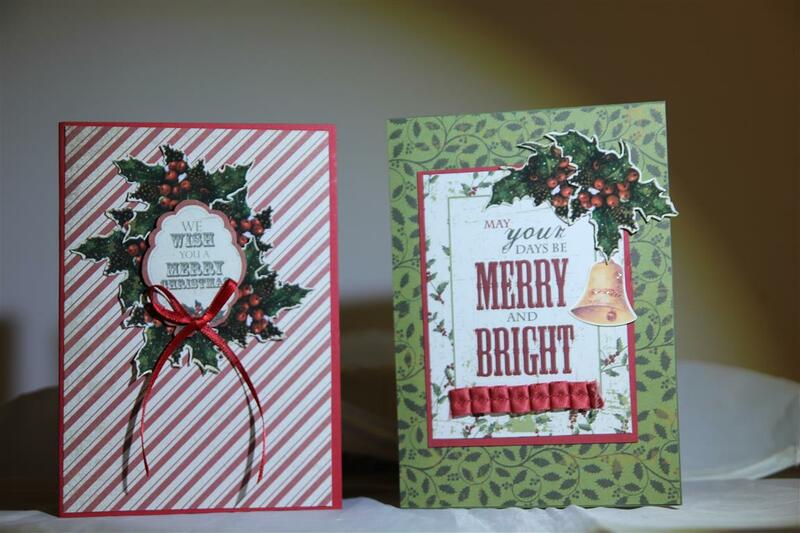 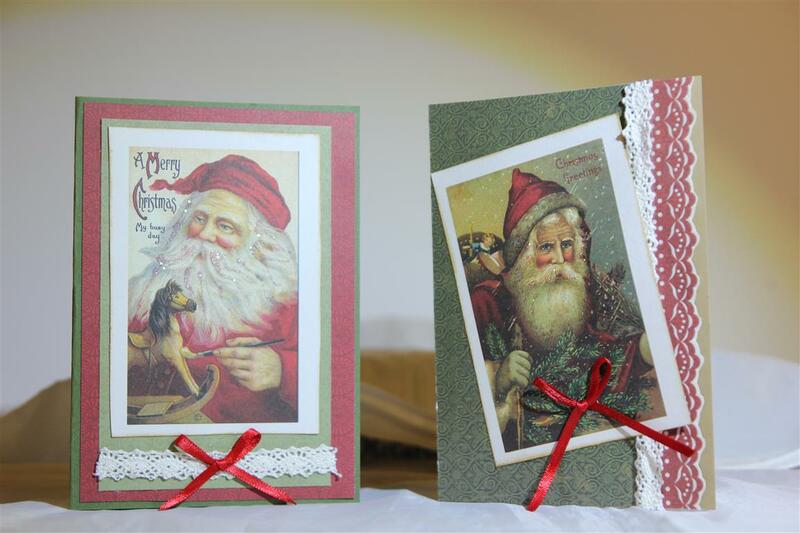 Kaisercraft yuletide 14 ..not christmas! 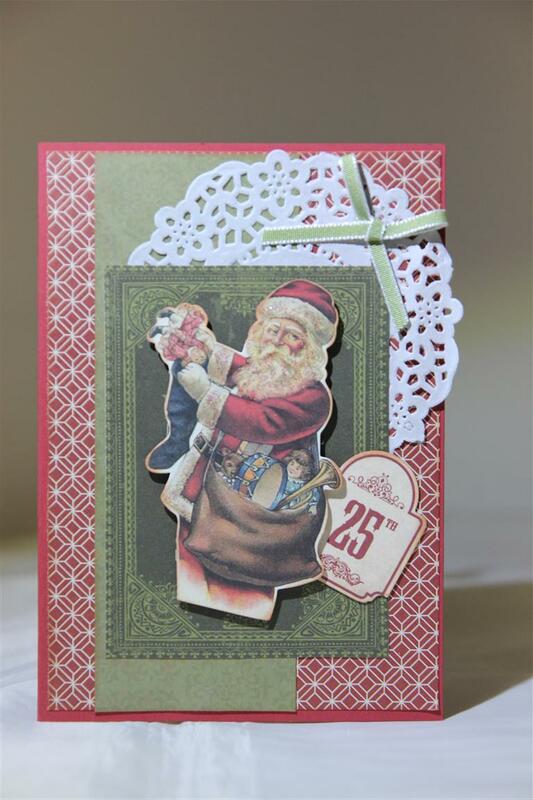 This paper was in the pack of 12 x 12 Kaisercraft Yuletide I purchased, but as soon as I saw it I knew I wanted to make a card other than christmas with it.It is in the lightest shade of old fashioned pink, so ribbon and lace were also a must! 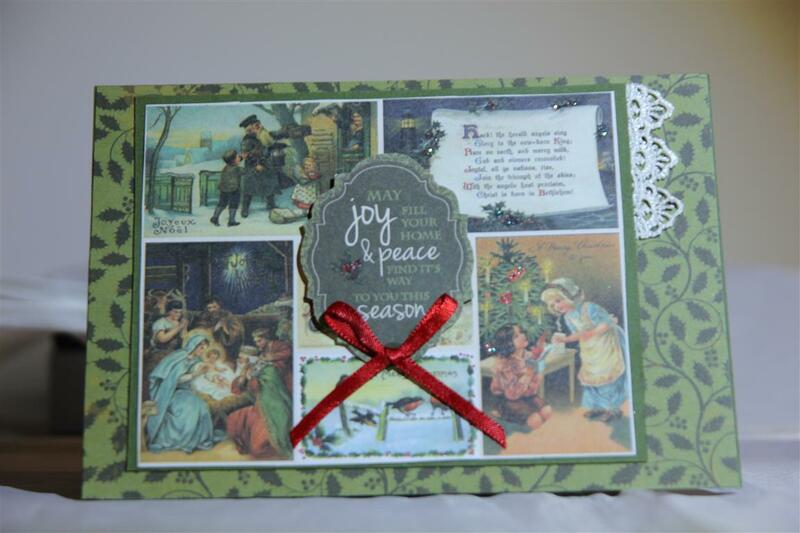 I die cut a Memory Box catalina wreath, and Tilda flourish ( also out of kaisercraft yuletide) and just added pearls and Prima flowers to finish.day off today, but a huge amount of shopping to do, and a birthday card for an order to complete, but up to date now and after a work day tomorrow I am looking forward to finally getting some crafting done on the weekend.Til tomorrow…. 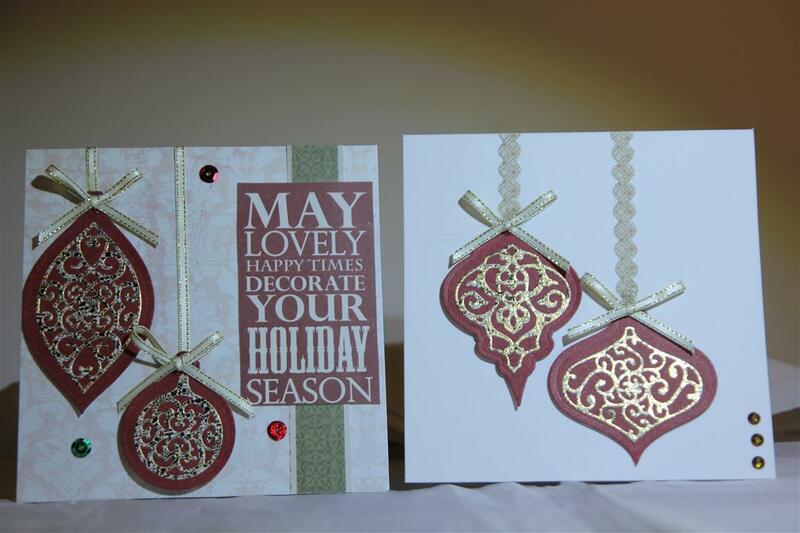 Kaisercraft yuletide collection, 12 x 12 papers, and a collectable on the top card.I have used some spellbinders dies on all cards, and the borders that come in the back of the 6’paper pads.the bottom cards are decorated with sequins, and I added ribbon on all cards.Tomorrow a bit of a break from christmas, but still a card I made with this collection! 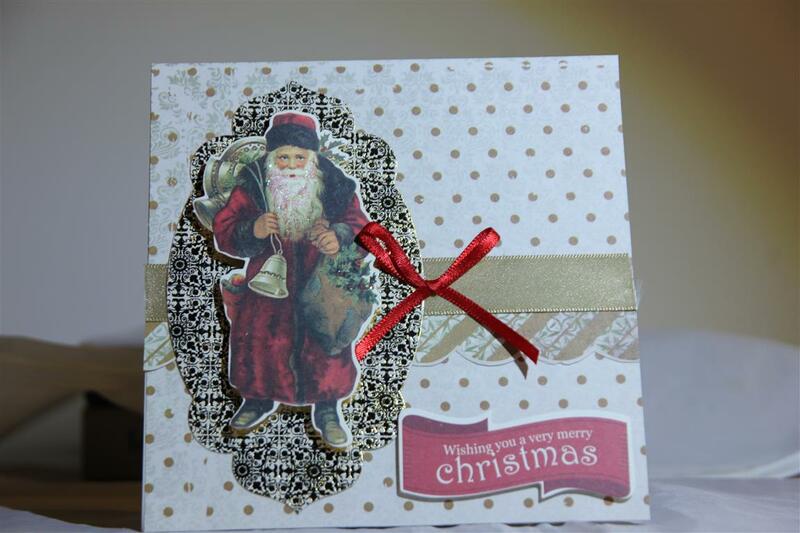 Til tomorrow…. 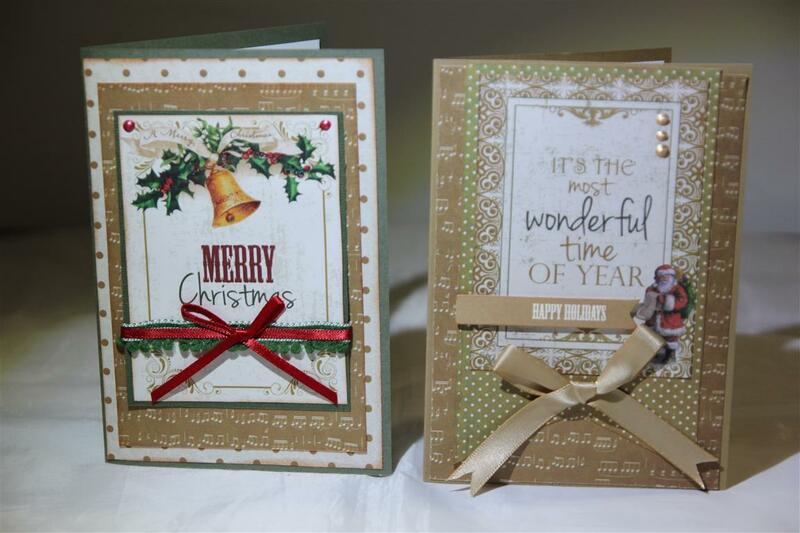 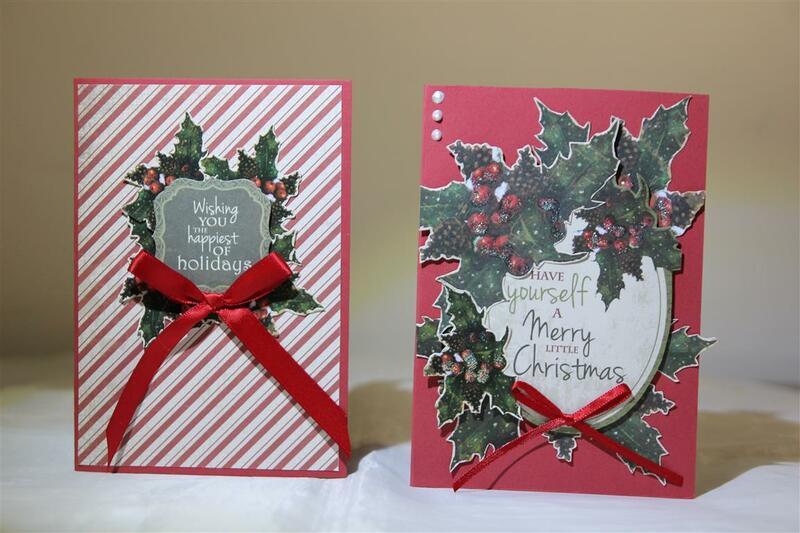 An early post today as I start work later today, ( and finish late).Kaisercraft yuletide collection, the 12 x 12 papers.I fussy cut the holly on the top left hand card from a sheet of the 12 x 12 paper, and the sentiments are also cut from 12 x 12 papers. 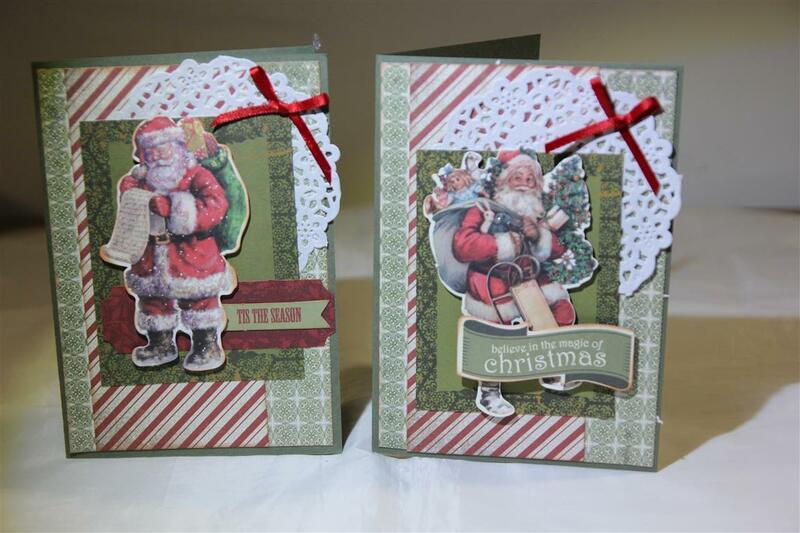 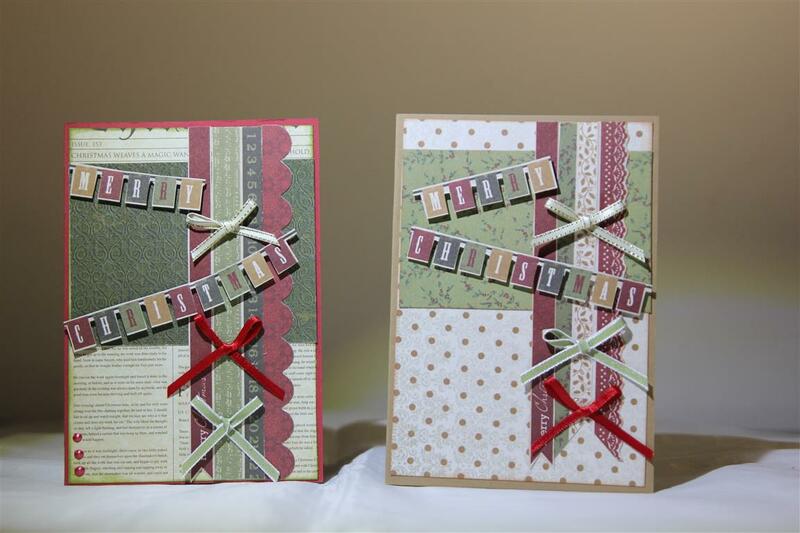 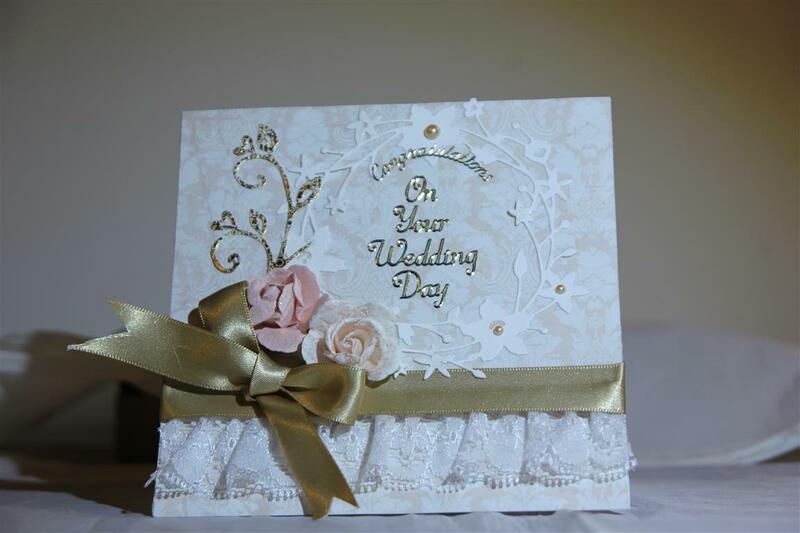 I added lace and ribbon.Til tomorrow…..
Kaisercraft Yuletide 12 x 12 papers, ( including images) with just a bit of ribbon and lace added. 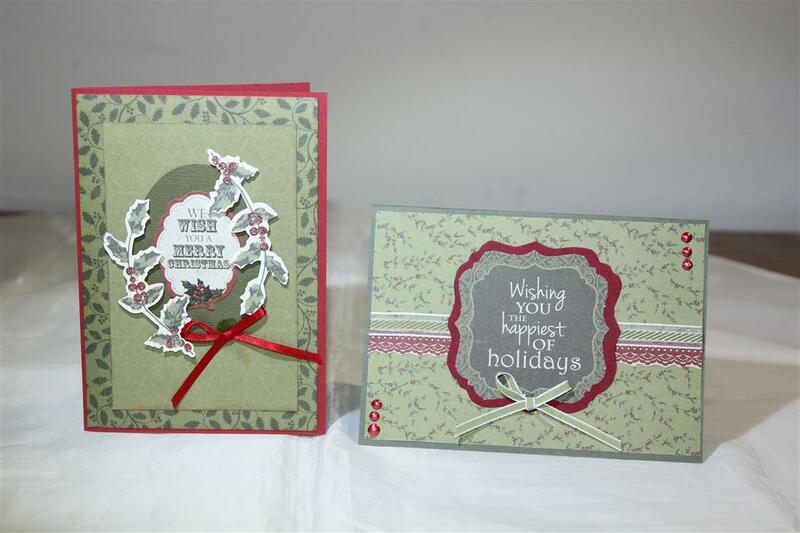 The holly on the top two cards was fussy cut from a sheet in the 6″pad, and the bell came from the pack of collectables.I have been in the craft room today, just to finish the last few cards for my order, and I have been playing with some gorgeous paper from Couture Creations for a class in december, I am heading back there now to stick everything down,and thats me organised for a while!til tomorrow….